BFG – Ork reinforcements (1) WAAAGH! I am finally back in Lancaster and set up in my new flat. Given this, I have been driving forward with my painting, focusing mostly on BFG. 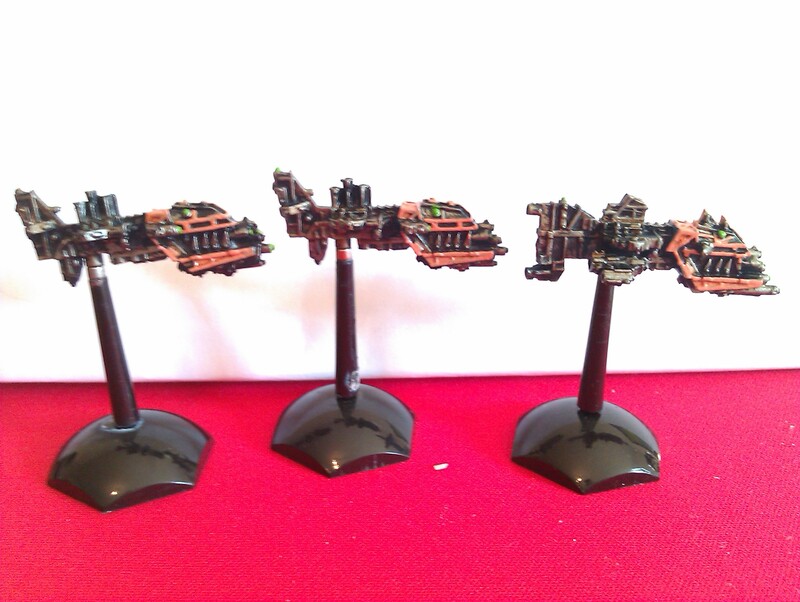 As part of this, I have been quickly painting up some reinforcements for my Ork fleet (other pics available here). these include 9 escorts and 4 cruisers. 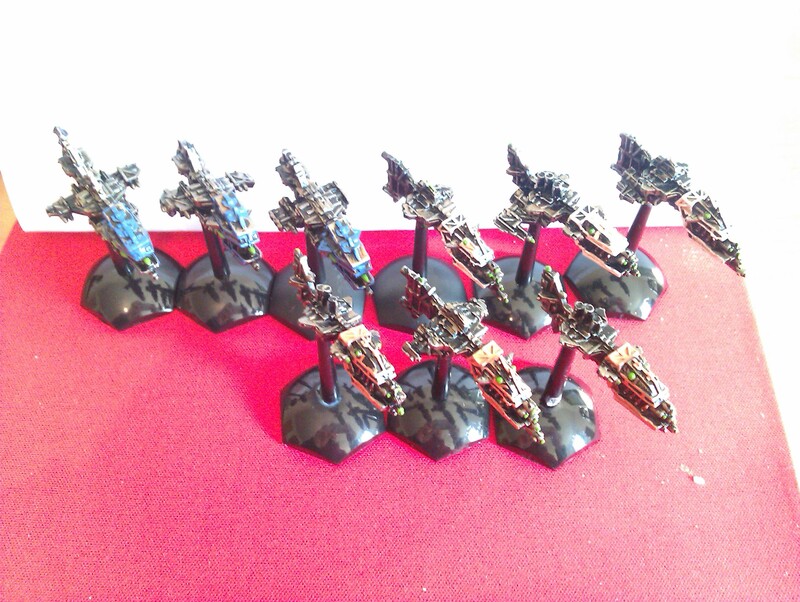 All of this bumps my fleet up to 3,000pts which matches most of my other fleets for size. 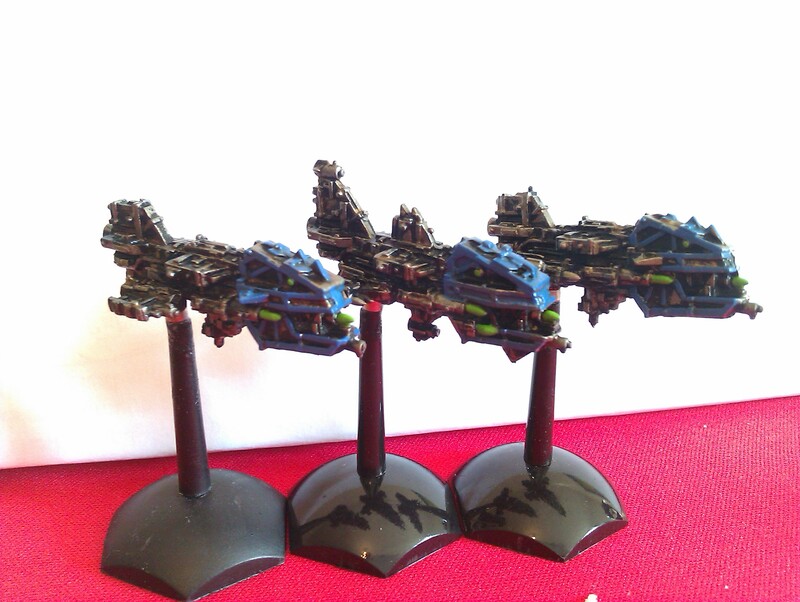 Only the escorts are finished for now, but the cruisers are well on their way. 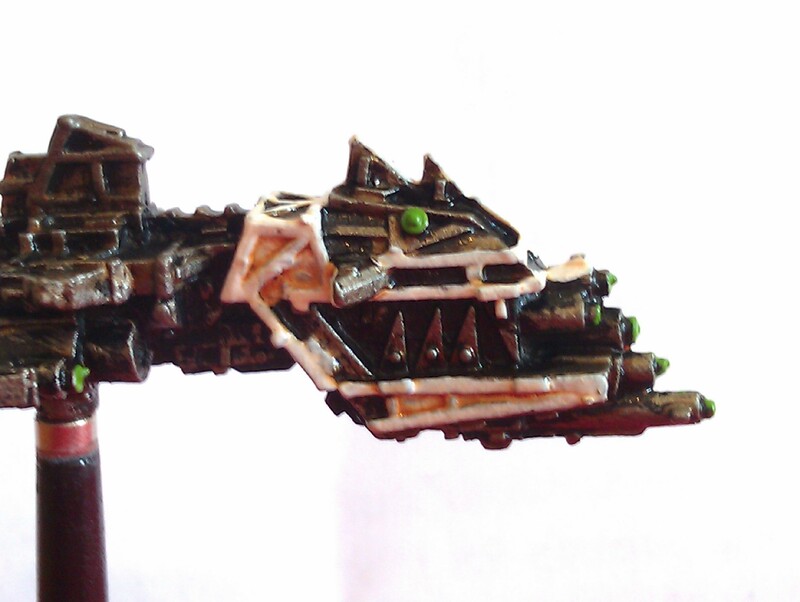 My Ork scheme is relatively simple and doesn’t take a great deal of time, so pics of the cruisers should be making their way up here soon. Nice to see some BFG again. 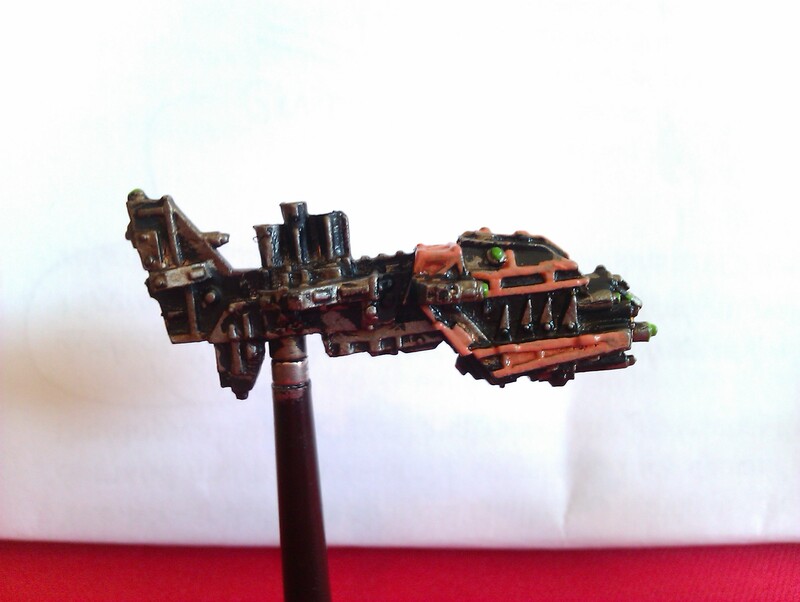 have you thought of using Typhon corrosion on the ork sips to make them look a bit more rusty? Could look really nice I think. Nice work anyway. Especially love the dark colour scheme. Hi Natchall, thanks for the comment! 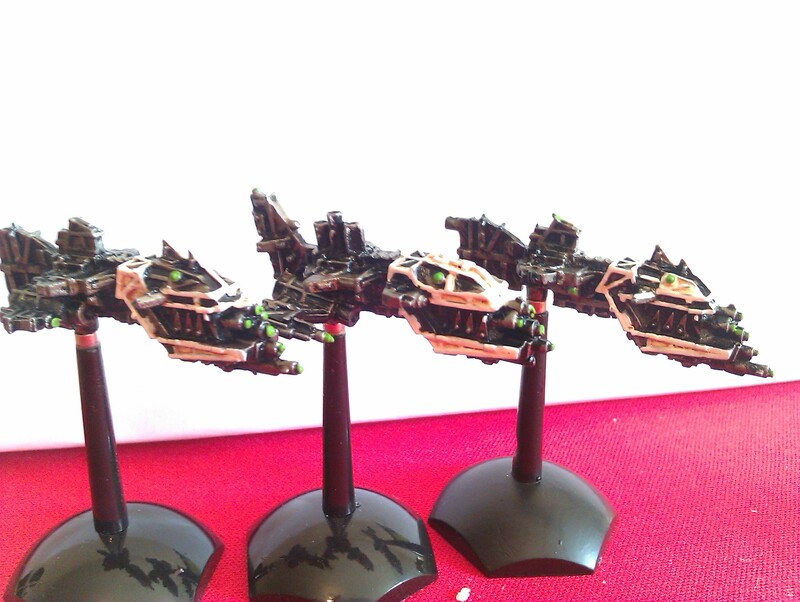 I have thought about / been recommended Typhon, but I am looking to use up the paints I have at the moment.